Thanks Sig, for making a compact X grip that wont accept standard 320 mags. ??? All you have to do is take off the "wings". A simple task. That's only required on the older style round hole baseplate style. Yeah, this. If you have an X Grip (such as a X5 or X Carry) you already know this. It is a simple 2 minute fix. I get its a simple fix.I dont want to grind on my mags. And I shouldnt have to, just to accommodate what appears to a minor non-functional cosmetic feature. And it makes no sense to me why a major manufacturer makes small changes to what could a be a magazine that would fit all the similar size guns. You would think that would simplify the supply chain and encourage people to buy different guns throughout the product range, knowing that one magazine fits them all. The x-frame is a later development after the standard grip frame. The original baseplate works fine on the standard gripframe as the frame is cut out to enable easier extraction of a magazine. The x-frame has a gentle mag-well taper to the inside, which works quite well, but it doesn't have enough clearance for the rounded dog ears that work so well on the standard frame. More recent "gen II" mags have a narrow, tapered dog ear which fits fine. It's possible to grind the dog ears to that taper, but easier to remove them, with zero loss of functionality. It would be nice if Sig just made new style baseplates available, and some simple customer service. If Sig had made cutouts on the x-frame to accomodate the older mag dog ears, it would have been a point to hang up when inserting a mag; the subtle funnel on the present x-frame has nothing to hang up, no extra edges, and is great as is. I'd rather have that feature and adjust the magazines to work with it. Thanks to the abbreviated subcompact-length slide and dust cover, the rail is too short for a TLR-1 or X300 weapon light to fit. Even some of the compact weaponlights don't fit, like the XC1. It would have worked, if they had left the slide and dust cover the standard Compact/Carry length, with one additional rail slot. I usually carry my P320C with a TLR-1 attached, but if I end up picking up an XCompact grip module, I'll have to either carry it with no light, or invest in a smaller weaponlight plus corresponding holsters. ^^^^ The TLR-7 may do the trick, Rogue. I bought one recently, much handier than the TLR-1. It's perhaps 1/3 the size and 500 lumens. Edit: I called Streamlight as I have the same concerns. The rep thought the TLR-3 or 4 may work but they didn't have a special tag for the X series. The 3 and 4 will fit the P320 SC. Will advise if I learn more; have a trip planned for the LGS and possibly Cabela's tomorrow. Picking mine up Sunday from the Pro Shop! A Veteran is someone who wrote a blank check Made payable to 'The United States of America' for an amount of 'Up to and including their life'. That is Honor. Unfortunately there are way too many people in this Country who no longer understand that. Good that they're offered. Ten bucks a pop to fix a magazine that a loyal customer has already purchased, overpriced, from Sig, is a bit much. A three pack for that price, ok. Ten apiece? No. Mine is back-ordered, it will be a LE/Mil program purchase. None in stock. In the interim, I'll read about others' experience with them, and look for associated kit items. was going to wait for the LE priced one, but a local shop worked a deal I couldn't refuse. within $20 of LE pricing. Had to take it home. Will run some drills with it tomorrow and see how it does. If it goes as well as the previous one I shot, it will be a keeper. This would seem to be the appropriate place to drop this. 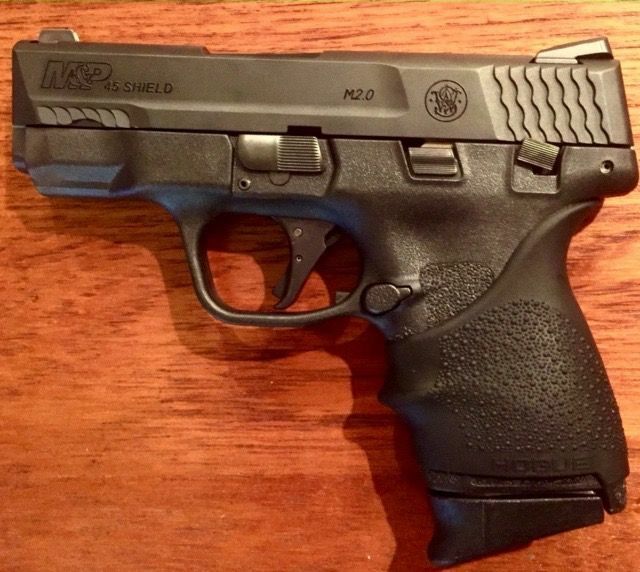 Looks like a winner, having already invested in Shields and P30Sk's for my preferred CCW's the past few years. Too bad it wasn't in the mix a few years back. I like the idea of night sites and an improved trigger...which cost me several hundred bucks to add onto my Shields. The H&K's were excellent out of the box,the KEM trigger systen is great, IMHO but pricey. This little Sig looks very nice, but I've found the 9MM round in a small package is a challenge to shoot. Which is why my .45 Shield is getting lots of range/ carry time...It's more accurate in my hands. Wonder how this new Sig does come bullseye time? I'd love to hear some first hand range reports how it actually shoots? Of course, as a SHTF pistol, it may not really matter beyond 5-10 yards. How does it fit in as a competitor to the 365...will that be the cheaper entry level compact 9MM CCW? Will Sig make the new 320 X-Compact in .357 Sig..wouldn't that be interesting! I think it absolutely matters how this pistol shoots beyond a few yards; there's a crazy idea floating around that shootings take place within a few yards...when the reality is that most couldn't get their pistol clear of concealment in the time it takes someone to cross a few yards, let alone engage in a gunfight. A defensive sidearm should be capable at 25 and 50 yards and beyond, and I'm quite sure the new P320 will be more than accurate enough to do that if needed. The rest is on the shooter. I'd love one in .357 Sig, and at some point, will have one, though it may mean using an x-compact frame on my existing compacts. I do like my handguns to be able to shoot 25 yards accurately and maybe a little beyond but ill make the argument. It would be hard to justify “self defense” if involved in a shooting beyond 25 yards, def not 50 yards. If im shooting a handgun beyond 25 yards, it meets the other guy has a rifle. A rifle handgun fight would not be a good battle. Im looking for cover first and shooting off a stable platform at best. Each time there is an active shooter, and new gun laws loom, we hear people cry we need “good guys with guns”. Once the heat is off, people love to vomit tripe about how distance shooting is “hard to justify”. I wish I had a crystal ball to know what my future holds. I’ve been to two active shooters, and had shots much farther than 50 yards. And even if I wasn’t on the job, if I had the shot I’d take it to save lives. Rifles are great, but none of mine carry well appendix so I ll just have to settle for the fact that pistol shooting might be my only option, and rarely is their a support for me to brace on to make distance shots. And I can’t always count on having available cover. I do wish I had a crystal ball though. Anyone who says that 50 yards is “impossible to justify” hasn’t paid a lot of attention in recent years, or they are just being willfully argumentative. Picked mine up this morning. Cleaned it and got 150 rds through it. No issues of any kind. Fair to midland group size. Sights are good. Feels good in the hand. 320 trigger, a little spongy for me. Not sure it will be a 19 killer.